The tradition of kissing under the mistletoe originated with the ancient Celts where the evergreen mistletoe was considered a medicinal and magical plant. 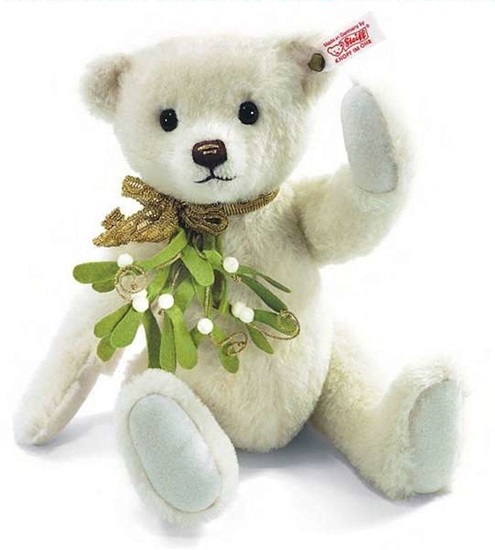 This Mistletoe bear is a 5-way jointed and 12 inches tall bear made of white alpaca. It has felt mistletoe wrapped around its neck, and in the spirit of the holiday season, has gold thread embroidery in the center of its black hand-stitched yarn nose.